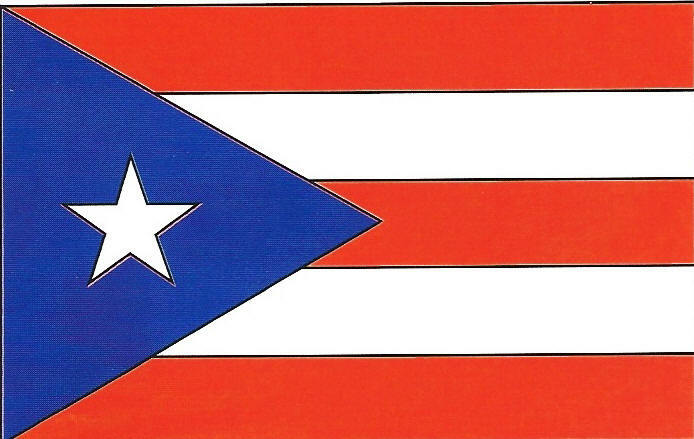 The flag that the Legislative Assemble adopted in 1952 as the official emblem of Puerto Rico is an old flag designed by a group of patriotic in 1895. It has a white solitary star that his the symbol of the Free Associated State and this stare rests on a blue triangle that with its three tips evokes the integrity of the republican government and represented by the three powers: the legislative, the executive and the judicial. The three red strips symbolize the vital blood that nourishes those three powers of Government, which perform independent and separated functions. The freedom of the individual y and rights of men maintain in balance the powers and the essential mission represents the two white strips. The Shield of Arms of the Free Associated State of Puerto Rico was granted by King Fernando and is the only one that has been in official use since the Hispanic-American conquest. It was confirmed and adopted bye means of Law 7 and 8 of August of 1952, according to amended by law 142 of the 3 of June of 1976. The Real Certificate describes the blazon like "a green shield and within a silver lamb upon a red book and crossed by a flag with a cross in its vane as it brings devysa of Sanct Joan and lion trimming castles and flags and crosses of Iherusalen and by devysa an F. and a Y. with its crowns and yokes and arrows and a round signboard the following way: Joanes est nomen ejus". The predominant color is the green one. This color was used in the beginning of the Christian era with reference to San Juan, Baptist, like a symbol of grass or vegetation when he preached in the desert forest of Judea. The silver lamb indicates the color white and pure that corresponds to the figure of the Lamb of God, the Agnus Dei, indentified with Jesus Christ. The red book represents the book of the Seven Seals or Apocalypse of the Apostle San Juan. The castle and lions are symbols of the colonizing kingdom. The flags and crosses of Jerusalem are symbols of San Juan Baptist, name given to the Island, and invariably united with the name of Jerusalem. The F. and the Y. refer to the names of the monarchs Fernando and Ysabel; and the beam of the arrow and the yoke represents ideograms for the initials of the names of the Catholic Kings F. and Y. The beams of the arrows consist of the mysterious number seven, that is repeated symbolically in the Apocalypse. 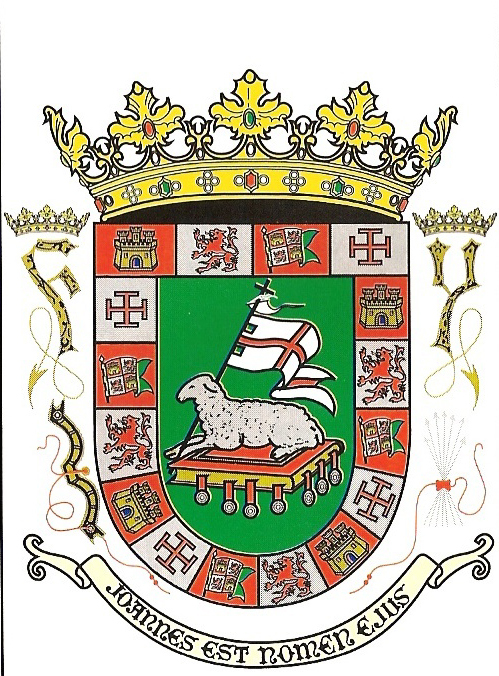 The figures that appear in the Seal of Puerto Rico are inspired by the figures which appears in the shield that the Spanish Crown granted to Puerto Rico, at the beginning of Century XVI. Besides its rigorous heraldic symbolism, we can interpret it this way: in the green center appears a lamb that is used to represent the peace and confraternity. Above the lamb there is a beam of an arrow "symbolic" of the creative force. Over this appears a yoke that represents the union and harmony of the efforts for great profits. The letters F and I, initials of Fernando and Isabel, Kings of Spain when Puerto Rico was discovered, evoke their great pioneering effort. The inscription says: "Joannes Est Nomem ejus" John is his name, because Puerto Rico was originally called Island of San Juan Baptist. In the white edge appears the towers of Castilla, Lions of the Lion, Crosses of Jerusalem and Spanish flags that evokes the old hispanic cultural roots of Puerto Rico and form a frame to the central symbols of the seal. The spanish flag within the seal is not the same as the one in the shield. The first has two of its quadrants representative flags of Castilla-Lion-Granada and Aragon. The second is the already well-known flag of Catilla-Aragon. 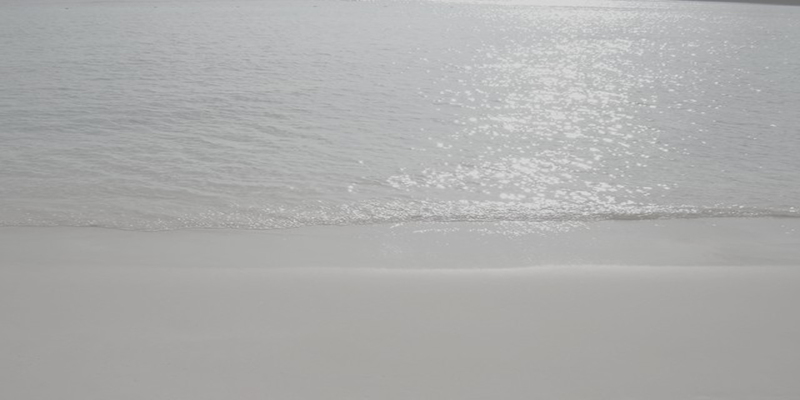 the waves on its feet.